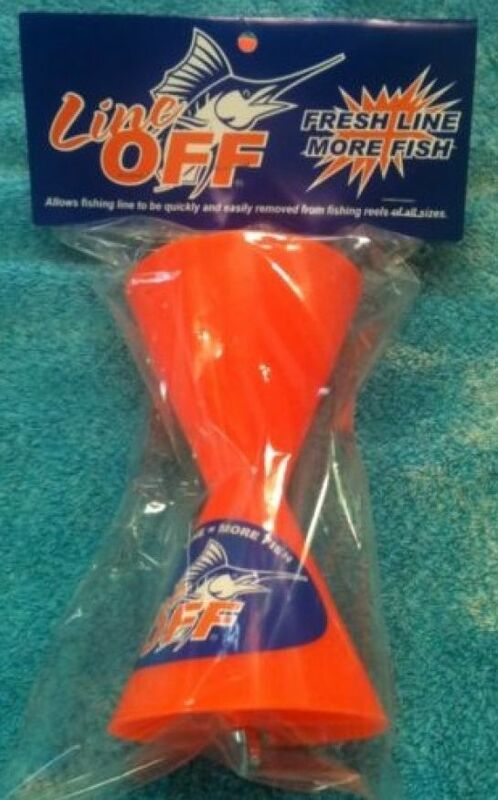 LineOFF is a handy tool for removing fishing line from any type of reel in a quick and efficient manner. This portable line spooler will become one of the most convenient tools in your arsenal and fits neatly in your tackle box or on your boat without taking up much space. The simple yet genius LineOFF design can strip line quickly from small spinning reels to large offshore conventional reels saving you a ton of time. We all know that keeping fresh line on our reels is one of the best ways to maximize our catch. I have to admit that I get lazy at times and don't do it as often as I should. This handy little tool makes it so quick and easy to change out your line you have no excuse not to do! LineOFF can also be used for just about any material you can think of from monofilament, fluorocarbon and braid to yarn, thread, ribbon, string, even light rope. It's also a convenient way to store line for future use if you plan to re-use it for another application and keeps the line away from oil and dirt during reel maintenance. To use, simply attach LineOFF to a power drill or electric screwdriver. Slowly activate power tool to begin removing fishing line onto LineOFF so it collects evenly around the center of the joined spools. When you have removed the desired amount of line from the reel remove LineOFF from power tool and your line is ready for convenient storage on LineOFF until you are ready to re-use the line. 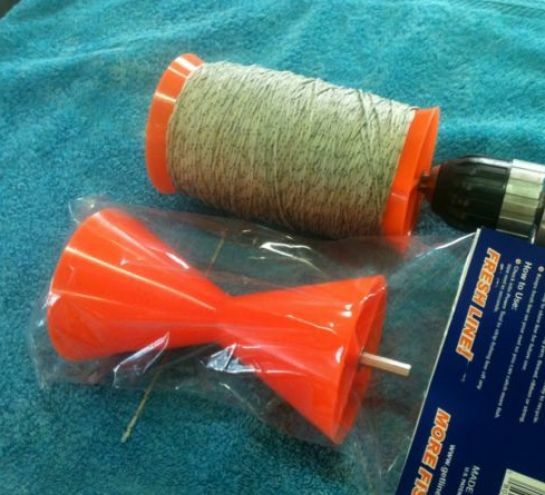 For complete line removal spin all line off your reel, unscrew and remove the wing nut, slide cone off hex shaft and remove bundled fishing line. Use a twist tie to secure bundled line. Now you can recycle your fishing line at any approved fishing line disposal center. LineOFF is proudly made in the U.S.A. using quality aluminum, stainless steel and polyacetal resin. This ensures durability and long service life backed up by a Lifetime Guarantee. They are available in both orange and white. $12.95 - Buy two and get 1 free!